The spring we never had rolled into the best summer in recent memory here in New England. The New Haven ran over 800cfs every day for 14 days straight…and to top it off, it would rain at night and be sunny during the day, so we had gorgeous 80 degree sunny days lapping the New Haven at great levels. The Middlebury even dropped in (it was too high) here and there for some great laps, and the high water cleaned out all the wood. Toaster on the New Haven. It’s an even better boof when there’s a crowd in the pool cheering you on. Photo Ryan Mooney. Thomas Neilson enjoying your standard Vermont summer evening. I’ve been pretty busy since the beginning of June between all the rain and a lot of traveling. I made two trips to Idaho, one for the Middle Fork of the Salmon followed by some creeking in Jackson, WY, and one out to McCall, ID where I squeezed in some paddling in the Payettes. 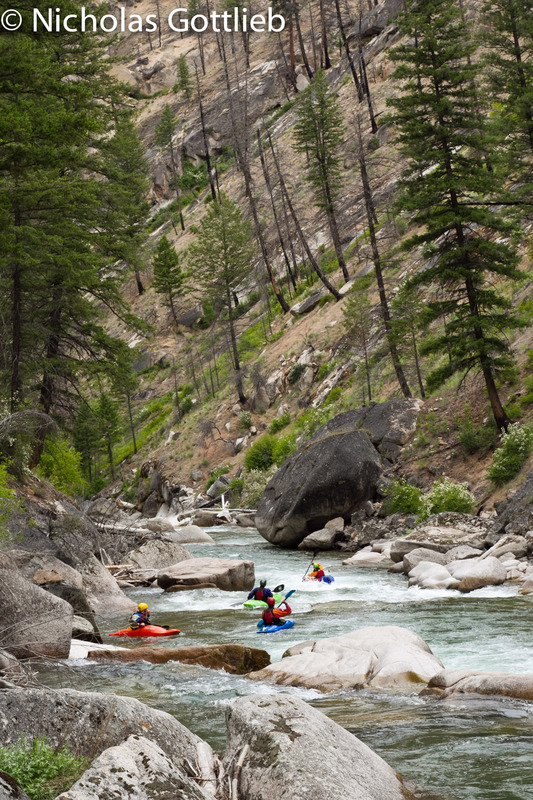 The Middle Fork was awesome as always — a must-do river trip through one of the most beautiful areas in the lower 48. 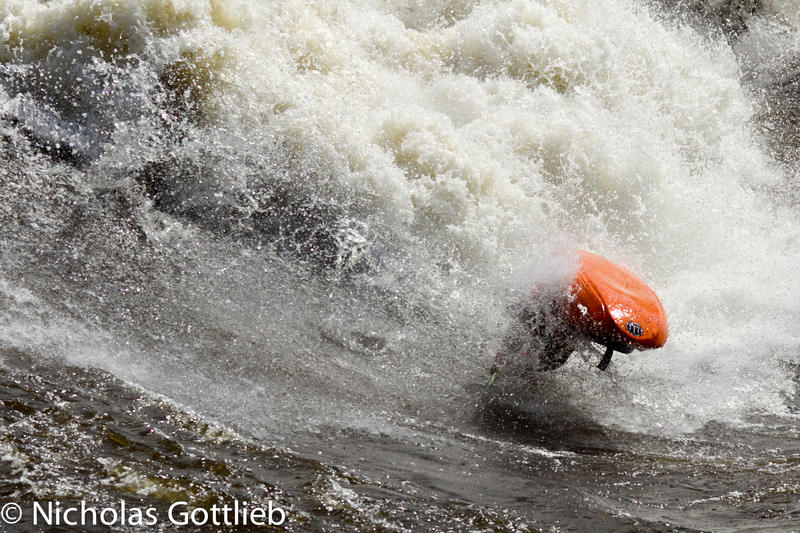 I was stoked to have a week of relatively easy whitewater to really push the Tuna and get more used to it. It’s a boat that really wants to be paddled aggressively, and the MF helped me really figure out how it works. Somewhere in there, I managed to get up to the Ottawa for the couple days when Minibus was really prime in June. Minibus is unlike any wave I’d ever surfed. Huge, fast, bouncy, and more than a little trashy if you find your way over to surfer’s left. It’s tricky to set up, but when you do get a good pass down the wave, any trick you throw will easily be the biggest of that trick you’ve ever thrown. The author landing a big blunt on Minibus. I’ve been back in VT for about a month now, but the traveling hasn’t stopped, as a real summer competition series is developing here in the Northeast. 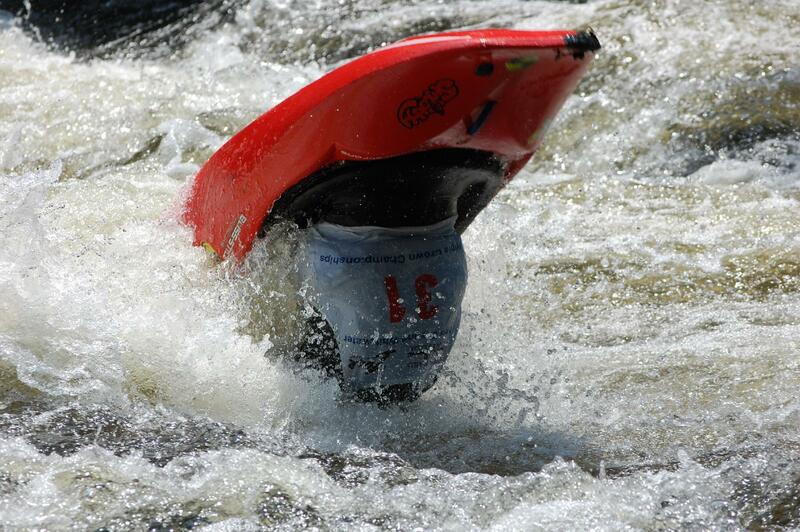 First, I went to the Tville Triple Crown, a freestyle / wildwater / slalom event in central Connecticut. My expectations were low as I’d never competed in any of those disciplines before, but I came away with 4th place overall, and can’t wait till next year. 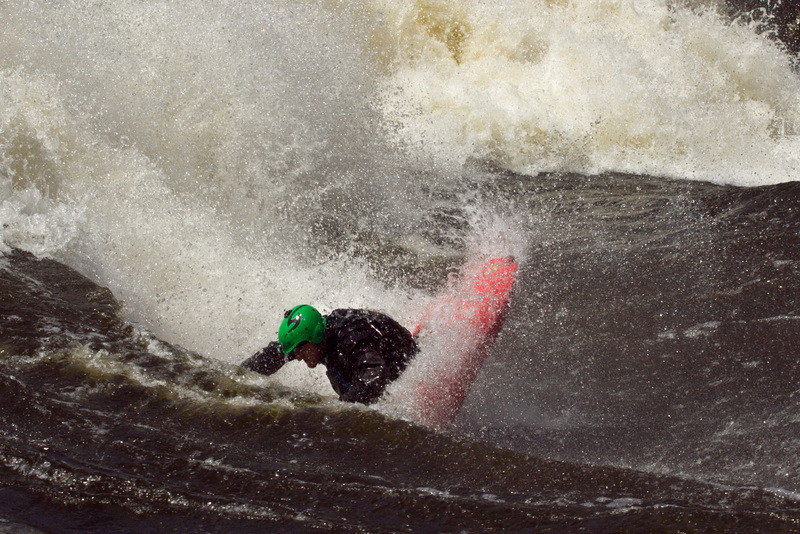 Trying to land a loop in the frustratingly flushy and shallow hole at Tville. After the Triple Crown, we rallied a crew of Deerfield Dryway regulars (Lozers) all the way to the northern most tip of Maine (it might’ve been Canada, we’re still not sure) to compete in the races on the West Branch of the Penobscot. 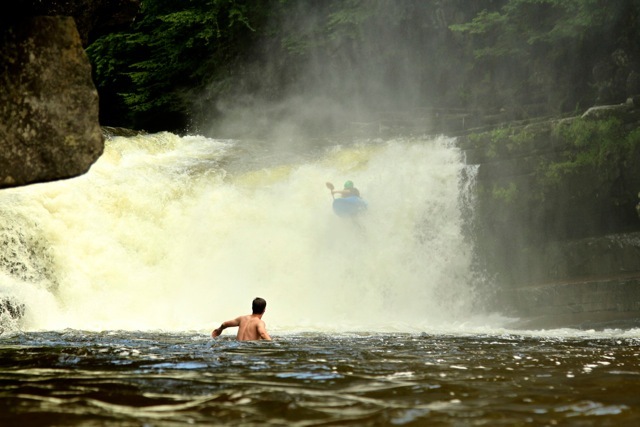 The river is great because it runs every single day of the summer and boasts some really quality III-IV whitewater, though it’s unfortunate how far it is from the rest of New England. I wound up taking 3rd in the boatercross event and 9th in the time trial, not my best, but not awful. It was a fun weekend and if I’m in New England next summer, I’ll definitely be heading up again. 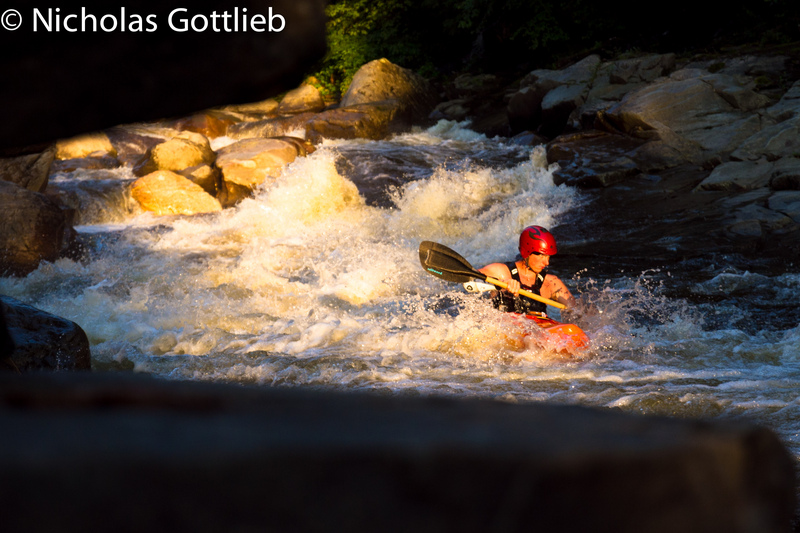 The rain seems to have slowed down a bit now, and so we’re down to our usual summer paddling options — the Deerfield Dryway (home of the Lozer Cup race series), the Raquette, and Otter Creek Falls and Gorge. I’m heading up to the Ottawa again soon to catch Garb before it drops out, and then to the King of New York races over Labor Day weekend on the Raquette and the Eagle section of the Beaver.